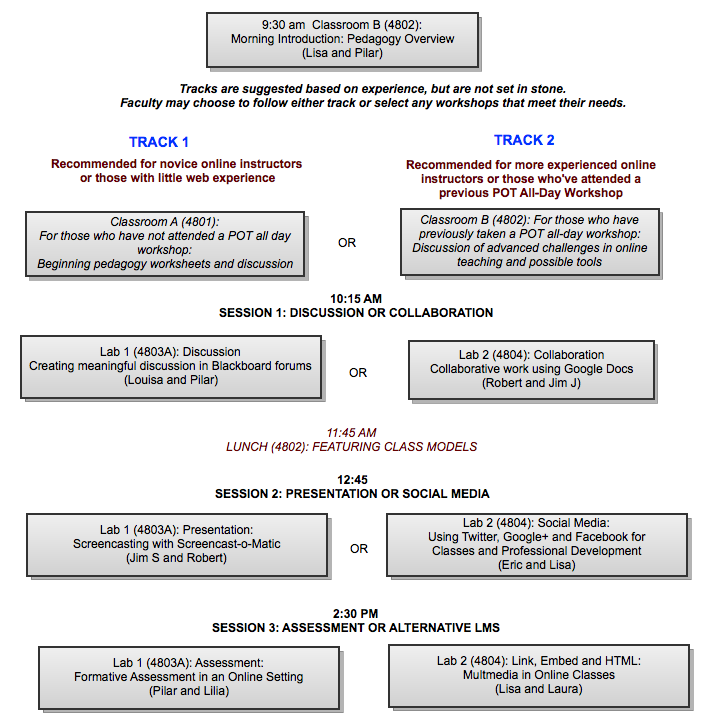 POT for Fall 2012 « Pedagogy First! Instructors of all levels and styles are welcome to join us for an all-day exploration of the strategies and tools that can be effectively used for online, hybrid or on-site classes that use web technologies. Beginning with developing good course design through individual pedagogy, participants will work hands-on with a selection of proven teaching tools and explore how they can be used to realize instructional goals. If you have attended an all-day POT workshop in the past, there will be some new additions this year.